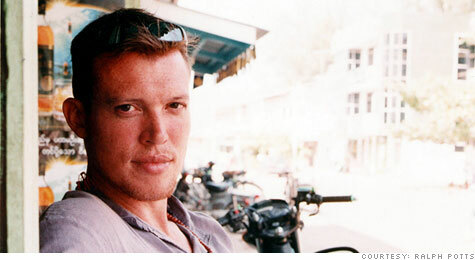 Rolf Potts is the author of Vagabonding: An Uncommon Guide to the Art of Long-Term World Travel. He is currently working on a book about the concept of time wealth. Not so long ago, I took a winter trip to Rio de Janeiro during Carnival season. Instead of staying near a fashionable beach like Ipanema or a storied tourist district like Copacabana, I got a room in an inexpensive guesthouse in the slightly seedy Catete neighborhood. Instead of eating at fancy restaurants, I got food for a fraction of the cost from street kiosks and juice bars. I took day-trips to quieter beaches north and south of the city and attended joyously raucous soccer games at Maracanã Stadium. I stayed in Rio and environs for nearly two months -- an unheard of amount of time for most Americans. But in choosing to live cheaply and forgo the trappings of luxury -- in keeping my expenses lower than the daily living costs of most U.S. cities -- I was able to enrich my journey with life's most valuable commodity: time. Time-wealth can at times be difficult for Americans to understand, since we are all-too-often conditioned to get rich from life rather than live richly -- to "do well" in the world instead of living well. But over time I've learned that the freedom to spend time doing things you love is determined less by income level than the conscious decision for thrift and simplicity. For me, this means I still travel a lot like a backpacker, even though (at age 40) I no longer fit into the stereotypical vagabonding demographic. Instead of luxury hotels when I'm on the road, I seek out clean, basic hotels, hostels and guesthouses. Instead of seeking out "fine dining," I buy groceries from the market, or eat food from street vendors or local cafeterias. Not only has this habit of simplicity saved me money and bought me travel time, it has forced me to be engaged and creative rather than to throw money at my holidays and hope for the best. Freed from a rigid, expense-laden itinerary, I'm more likely to be spontaneous, embrace serendipity and enjoy each moment of my journey. At times, my friends back home of have been skeptical of my time-wealth strategies. Isn't that manner of travel a lot more dangerous than a luxury package? Doesn't it get uncomfortable and miserable? Don't you end up isolated from the main attractions of your destination? Isn't this impossible to do if you have a steady job or a family? No, time-rich travel need not be dangerous, uncomfortable, inconvenient, or exclusive to unattached, underemployed vagabonds. For example, Rio's Catete district has comparatively little tourist crime because wealthy tourists don't stay there -- and the travelers (like me) who do stay there don't carry much worth stealing. Common sense goes a long way: Don't flaunt expensive electronics or jewelry; learn a few phrases of the local language; be polite and cautious with strangers; don't wander the streets drunk late at night. Odds are you'll be in no more danger than a similar situation in your hometown. Since I'm a freelance writer and blogger, I mixed my Rio sojourn with about 10-15 hours of work each week (I usually wrote about midday, when it was too hot to go to the beach). Over the years, I've met folks who've utilized laptop and smart-phone technology to do everything from graphic design, to information technology, to business-consulting work while they travel. And, in fact, there is now a whole class of people, often called "digital nomads" or "location independent professionals," who mix work and travel full-time, year-round. Other folks have bought time off by negotiating sabbaticals or leaves of absence with their more traditional employers. I've met plenty of families who were actualizing their time-wealth by traveling long-term together -- and most of them have told me that a budget-minded "road-schooling" journey offers their kids a more intensive education than could be found in any classroom. Time-rich travel will probably never catch on as a trend, but it has always existed as a quiet option for those who are willing to take a leap of faith and discover how easy and enjoyable it can be. For me, this has at times meant forgoing a few luxuries and certainties on the road -- but it has always paid off in rich life experiences.